Since 1976, Handa Travel, a leading Independent Canadian travel agency, has been providing high quality service to customers in the Ottawa, Montreal and Toronto regions. We are known for offering reasonably-priced travel, staffing our offices with experienced travel counsellors, and relying upon the most modern in computer technology to provide unparalleled customer service. Our dynamic travel counsellors rely on extensive experience to help your travel dollar go further. Strong relationships with Canada's leading travel companies help us offer the best rates available. Our Low Price Guarantee ensures that you will always pay the cheapest price online. We look forward to meeting you in our offices and discussing how to make your travel dreams come true! Inder built the Handa Travel Group from a small one-man business to a viable and well-established travel group. Inder is a well-known personality in the travel industry with a vast personal network of industry leaders. Today he is one of the most respected and knowledgeable individuals in the Canadian travel market. Inder consults on the direction and growth of all HTG brands, providing valuable insight into sales methods, consumer patterns, and other pertinent aspects of the industry. Prior to becoming President and owner of Handa Travel, Inder spent many years traveling, he has personally led tours to all corners of the globe. 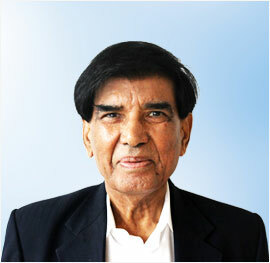 He holds two Masters Degrees and taught at various levels in India, England and Canada.